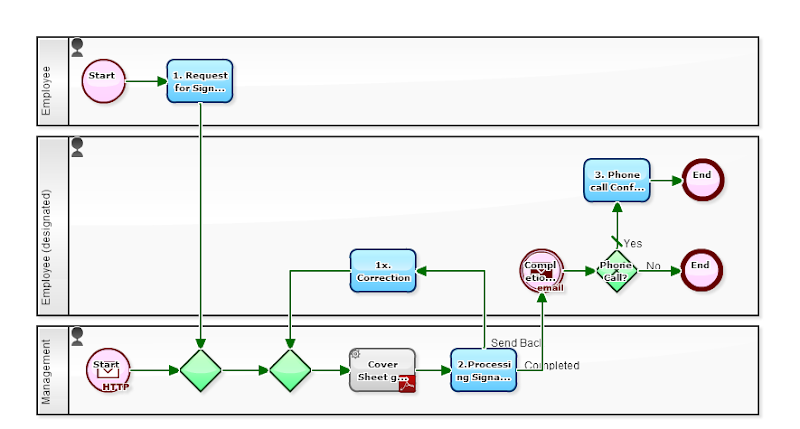 Workflow Sample: Retain the "Shipping Record" of the Contract Exactly! Indeed, nobody would be interested in Contract document unless a trouble had happened. You will not even think about opening a thick ring binder. There, a large amount of "NDA (Non-disclosure agreement)" and "Basic Agreement" just as of the template are asleep. However, like companies that handle Music or software, should better have been ready to refer the contracts related to 'Copyrights' at anytime. And, companies of construction or real estate should have been ready to refer the contracts of 'Undertaking'. At least you should better build an information management system to avoid a fruitless discussion that 'have sent' - 'not received' the Contract document. By the way, it is also a good idea to add some data items like 'Contract expiration date' for some companies. Doing so, you will be able to use them to narrowing filter to search for contracts.